“The world is getting duller!” (Anderson and Tolkien 311) So laments Tolkien, through the voice of the green dragon after reluctantly destroying the village of Bimble Town. Tales and Songs of Bimble Town is a series of six poems written by Tolkien in the 1920s and 1930s (Drout 546-547). The residents of this town are presented by Tolkien as being aggressively mundane. They are in desperate need of the escape, recovery, and consolation offered in his work On Fairy-Stories. The Bimble Town residents, or Bimble Townians, if I may coin a demonym, do not realize the situation they are in. They are prisoners of their banality. 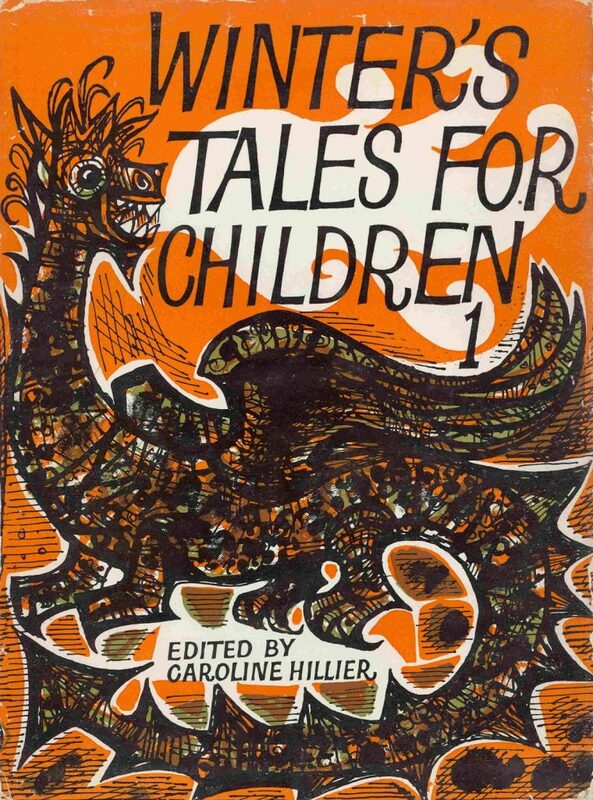 In a similar way that Lewis’s That Hideous Strength is a fictionalization of The Abolition of Man, I believe that Tales and Songs of Bimble Town presents the reader with a fictionalization of On Fairy-Stories. I will begin with a detailed look at the poem Progress in Bimble Town. This poem was written by Tolkien under the pseudonym K. Bagpuize and published in Oxford Magazine (Drout 547). In the poem, there are four main accusations which are included in Tolkien’s indictment against the Bimble Townians, culminating is a fifth that serves to present an underlying cause for the others. The first is a pervasive focus on consumerism. When discussing the once fair streets of Bimble Town, the poem speaks of the streets now being lined with “…shops with meat, shops with cabbages, shops with blouses, jersies, jumpers and umbrellas” (Anderson and Tolkien 254). Further on in the poem, the reader hears about “a toy bazaar with things of tin, and bits of crock, and all the news; windows, windows with chocolates in, cigarettes and gum one chews…” What I believe bothers Tolkien about this is the way that commerce has become the focal point of the town. Tolkien also seems bothered with the toy bazaar and the cheap, tin, penny toys. Tolkien is not anti-toy, nor is he anti-selling. When Thorin recounts the abbreviated history of the dwarves in his family, Tolkien gives him the following words. “Altogether those were good days for us, and the poorest of us had money to spend and to lend, and leisure to make beautiful things just for the. fun of it, not to speak of the most marvelous and magical toys, the like of which is not to be found in the world now-a-days. So my grandfather’s halls became full of armor and jewels and carvings and cups, and the toy-market of Dale was the wonder of the North” (Tolkien, The Hobbit 23). The toy-market of Dale stands in stark contrast to the toy bazaar of Bimble Town. It seems to be the cheapness and frivolity of the tin toys that bothers Tolkien. They are far from marvelous. They are simply clutter. The second accusation against Bimble Town is that the architecture, which is supposed to be considered “progress” is unattractive. The post-office is described strikingly as “new and squalid” (Anderson and Tolkien 254). Squalid is an adjective usually used to describe something dirty and unpleasant, especially from poverty or neglect. Yet Tolkien here combines it with the adjective “new”. Even the newness of the post-office cannot protect it from looking neglected and unpleasant. Another architectural complaint concerns the ubiquity of shops. Bimble Town, which “once was fair, with many houses” is now cluttered with shops selling trinkets. He emphasizes this with the repetition of the word “shops.” “shops with meat, shops with cabbages.” The repetition in the text matches the repetition in the town. The third accusation leveled against Bimble Town is one that is a frequent concern of Tolkien. The Bimble Townians were not taking care of the environment. Tolkien speaks of “…cigarettes and gum one chews (wrapped in paper, cased in card, for folk to strew on grass and shore” (Anderson and Tolkien 254). If the consumerism was not bad enough, the residents make it worse by wantonly discarding the leftover scraps of their purchases in the grass and the ocean. The ocean is specifically called out as an unfortunate recipient of much of the pollution. The poem seems momentarily to offer a reprieve from the progress. “…one hears faintly (if one likes) the sea still at it on the beach.” Finally! Some relief! But no, it is a set up. “…at what? At churning orange-rind, piling up banana-skins, gnawing paper, trying to grind a broth of bottles, packets, tins, before a new day comes with more…” (254). The ocean now spends its time gnawing garbage. Tolkien’s passion for the environment on display in his works of Middle-earth has been dealt with extensively elsewhere and a comprehensive discussion is beyond the scope of this paper. However, we see this passion in other writings that are outside of Middle-earth. In addition to Bimble Town, examples of Tolkien’s commitment to ecology are also visible in Roverandom. “People did not bother to climb up while that lasted”, here speaking of the Red Dragon living on Mount Snowdon, “except for one man, and the dragon caught him drinking out of a bottle. That man finished in such a hurry that he left the bottle on the top, and his example has been followed by many people since” (Tolkien, Roverandom 33). There is obviously a problem with litter on Mount Snowdon. The first man is excused by Tolkien because he was frightened of a dragon. The implication is that the subsequent non-dragon-encountering litterers are not excused. The fourth accusation in the indictment is that people have largely abandoned traditional ways of travelling and instead rely on loud, dirty trains and automobiles. Tolkien describes a “manywindowed inn where motors make strong smells, and no horse goes in cobbled yard” (Anderson and Tolkien 254). The smell of burning fuel has replaced the organic, earthy smells associated with the horses that used to frequent the cobblestone yard. He continues by noting the irony of people coming to Bimble Town, “…brought by train for sea-side air.” Rather than experience nature on the trip down, they are taking a train, staying “indoors” on their journey to out-of-doors. To get to sea-side air they are putting up with the acrid mix of steam and coal smoke to get there. Tolkien seems to dislike trains, as is evidenced in the Fr. Christmas letters. He accommodates his son’s love of trains by purchasing toy locomotives for Christmas, but is careful to point out that trains are the sort of thing particularly likely to be stolen by goblins (Tolkien, Letters from Father Christmas 88). There is something a bit off with too much of a desire for locomotion. Tolkien also speaks of the “loud garages, where toiling hard grimy people band and roar, and engines buzz, and the lights flare” and in a display of sarcasm he continues that this occurs “all night long – a merry noise!” (Anderson and Tolkien 254). The resulting cacophony of the “merry noise” is represented structurally in the poem. The sound of the poem itself is jumbled and cluttered, just like the sounds in Bimble Town. The noise is the subject of a play on words late in the poem. Charabancs were a very early form of bus, used mostly for pleasure trips, such as those to Bimble Town. Tolkien calls them “charabangs” which he then rhymes with “hoots and clangs”, focusing the reader on the noise pollution of the vehicles. The final accusation, which is the unifying theme of all of them, is that the visitors and residents of Bimble Town have a lack of intentionality. This is strongly hinted at when Tolkien talks about the charabangs and how they “…bring more folk to Godknowswhere and Theydontcare…” (Anderson and Tolkien 254). The people “dontcare” about where they are even headed. They are not behaving with intention. The other aspects of this indictment also display a lack of intentionality. One of the problems with the bazaar is that the toys are cheap and do not take thought. They are made of tin. The books for sale at the library are flashy best sellers. They are not books that people are particularly seeking. Instead they are books that are bought because of the bright colors and because they are the new thing. The architecture reflects a lack of intentional design. Even though freshly constructed, it looks squalid. The pollution is from people thoughtlessly disposing of trash. They do not seem to be aware of the impact of their actions. The methods of travel are methods of convenience. The passengers from Godknowswhere do not even have an intentional destination. The noise pollution is also a consequence that the Bimble Townians seem to be experiencing with a lack of intention. There is no thought to the feelings of others. The noise goes “all night long.” A lack of living life with intentionality runs through all of these problems. It is into this banal world of unintentional, unimaginative living that Tolkien’s essay On Fairy-Stories speaks. In this essay describing the purpose of fairy-stories, Tolkien lays out three main functions – recovery, escape, and consolation (Tolkien and Lee, Tales From the Perilous Realm 371). The first two functions, Recovery and Escape – both capitalized by Tolkien to show them as a proper noun – are particularly applicable in Bimble Town. Tolkien defines Recovery as regaining a clear view. He explains that “We need, in any case, to clean our windows; so that the things seen clearly may be freed from the drab blur of triteness or familiarity – from possessiveness” (373). Recovery is about seeing the wonderful again, as opposed to allowing the familiarity to suppress that wonder. In defining Escape, Tolkien takes pains to differentiate Escape from the flight of a deserter. He states that Escape is heroic. It is to depart from the misery of one’s situation (376). The example provided by Tolkien in his definition of Escape is particularly apropos for the residents of Bimble Town. For a trifling instance: not to mention (indeed not to parade) electric street-lamps of mass produced pattern in your tale is Escape (in that sense). But it may, almost certainly does, proceed from a considered disgust for so typical a product of the Robot Age, that combines elaboration and ingenuity of means with ugliness, and (often) with inferiority of result” (376-377). Tolkien is saying that the ugliness of modernity is, in some cases, a misery to be escaped. His disdain for the electric street-lamp gives the reader insight into how the elimination of them from a story can be a form of Escape. The list of accusations demonstrate that Recovery and Escape are two things that the residents of Bimble Town desperately need. The first charge of partaking in the cheapness and frivolity of consumerism is something from which Tolkien would have thought they needed to escape. Mass produced tin toys are precisely the sort of products of the “Robot Age” that Tolkien used in his definition. One could safely assume that the quality of the mass-produced clothing items in the shops were also inferior to the higher quality, bespoke, hand crafted items that were replaced during the Industrial Revolution. Far from being filled with a Tolkienian disgust for such things, the residents seem to enjoy their shops and niceties. The questionable architecture choices of the second accusation demonstrate the need for recovery. They do not see the drab blur of the new, yet squalid post office. Bimble Town has lost the connection with the magnificent architectural history of England. From the Anglo-Saxon church architecture to the stateliness of the Tudor designs to the Victorian magnificence of Westminster Palace, England has been the home of beautiful architecture. This had been lost in Bimble Town. It needed to be recovered. The lack of care for the environment also speaks of the need of recovery. The residents of Bimble Town – not to mention modern day residents of many towns – are blind to the consequences of their actions. They do not see the waste from the gum wrappers or the discarded garbage in the ocean. They have lost their vision. They need to metaphorically clean their windows so that they can see what they are doing to their town. Their familiarity needs the shock of recovery so that they can remember the fair days and put things back in order. Both recovery and escape are needed to deal with the fourth accusation, forsaking the traditional ways of travel for newer “Robot Age” means of travel. Scenic travel has become a literal drab blur with train travel. The awe of the countryside has been dulled by the desire for faster travel. Their minds are closed to the sounds and smells they have given up. The cacophony and clatter of travel has supplanted the sublime noises of nature. The smells of burning fuel have overwhelmed the natural, organic smells that used to be in the fair town. They have been replaced by the “reek and rumble, hoots and clangs.” If one were aware of their plight, what could they want but escape? The “elaboration and ingenuity” have created a misery to which the people are blind. The final part of the escape, recovery and consolation discussed in On Fairy-Stories, “The Consolation of the Happy Ending” provides the reader with a “sudden joyous ‘turn’” (Tolkien and Lee, Tales From the Perilous Realm 384). Consolation provides joy of deliverance in the face of defeat. The sad thing about the Bimble Townians is that they are not able to experience consolation because they do not understand that they need deliverance from anything. In addition to the evidence of blindness offered in Progress in Bimble Town, evidence of their blindness to wonder is in found in the poem Glip. In the cliffs right below the town, there are several wonderful and frightening things present. One is Glip himself, a Gollum-like creature dwelling in the caves who comes clear up to the high water mark on a regular basis (Anderson and Tolkien 119). In addition to this frightening, luminous-eyed little creature, there is at least one mermaid. And she is a “wicked mermaid singing in the dark and threading golden rings on wet hair; for many ships she draws to the rocks to die” (119). There is a wicked creature in the bay of Bimble Town sinking ships and the people of Bimble Town are utterly unaware. There must certainly be evidence of her presence. Both Glip and the Mermaid sing, so the Bimble Townians are ignoring their voices. Perhaps the voices are unheard over the clatter of tour busses. The Bimble Townians are also ignoring visual clues. One would reasonably expect wrecked ships in the harbor to have caught the attention of the Bimble Townians, yet they seem completely unaware, perhaps engrossed in the buying and selling going on at the bazaar. After painting this bleak and frightening description of the night life just beneath Bimble Town, Tolkien closes the poem with an even more ominous statement. “There are darker and wickeder things that prowl on Bimble rocks at night” (119). Creatures more wicked than the homicidal mermaid are regularly prowling the rocks beneath Bimble Town and night, and they are blind to it. Even in a situation where blindness is impossible and a thing full of wonder is offering help, the Bimble Townians reject it. This is seen clearly in the visit of the green dragon to Mister Higgins’s cherry tree in The Dragon’s Visit (Anderson and Tolkien 309-311). and the yellow sun gleaming. The dragon comes to visit the residents of Bimble Town from Finis-Terre, literally the end of the earth. Mister Higgins does not respond with wonder and awe. Instead, he chooses one of the most banal methods possible of dealing with the intruder. He grabs his garden hose to shoo it away, as if it were a pesky fly. This, of course, does not have the desired effect and the dragon does not leave. “’How cool,’ he said, ‘delightfully cool are Mister Higgins’ fountains!’ I’ll sit and sing till the moon comes, as they sing beyond the mountains;’”. The dragon is under the impression that the residents of Bimble town will enjoy his singing. “And Higgins, and his neighbours, Box, Miss Biggins and old Tupper, will be enchanted by my voice: they will enjoy their supper!” (309-310). The dragon has come to visit to bring the residents the enchanting sound of his dragon voice. The magnificence of the dragon visit is not enough to jolt the residents out of their malaise. The dragon offers escape, recovery, and consolation to this village but the residents are not having any of it. They call for the fire department who arrives and sprays the dragon with the much larger fire hose. The dragon warns them not to make such a fuss but they begin to poke him with poles. The dragon proceeds to destroy Bimble Town and eat several of the citizens. That was not the dragon’s original intent. He makes that clear by expressing exasperation and then sadness. “So all my trouble’s wasted!” The dragon had gone to the trouble of flying there from his home and the result was a waste of time. He then proceeds to bury the uneaten Bimble Townians and sings a dirge for Higgins. There was no consolation for the residents of Bimble Town. The dragon could have represented the sudden turn that woke them from their banality, but he was rejected. I propose that these poems are important because I believe that society is at least in as much need of escape, recovery, and consolation as it was in Tolkien’s time. We should pay attention to the critique offered by Tolkien in this series of poems. Much about the way we live our lives is accepted blindly, without pausing to consider the impacts of our decisions. More than cheap toys are disposable now. Even a piece of machinery as amazing as a laptop is obsolete and thrown away within a few years. We have built so many shopping centers that there are not enough shoppers to fill them and formerly bustling shopping malls are sitting vacant. A short trip to the quiet of the countryside will show one how accustomed to constant noise we have become. Debates are currently raging about the extent of our responsibility to the environment. We need to seriously ponder the meaning of these poems as we struggle to live with intentionality and to rediscover a sense of wonder. We need escape. We need recovery. We need consolation. I find myself sitting on the cliffs with the dragon humming along with his dirge. and the red blaze dying. Anderson, Douglas A. and J.R.R. Tolkien. The Annotated Hobbit. London: Harper Collins, 2003. Drout, Michael. J.R.R. Tolkien Encyclopedia: Scholarship and Critical Assessment. New York: Routledge, Taylor & Francis Group, 2013. Print. Tolkien, J.R.R. and Alan Lee. Tales From the Perilous Realm. Boston: Houghton Mifflin Harcourt, 2008. Print. Tolkien, J.R.R. Letters from Father Christmas. New York: Houghton Mifflin Company, 1999. Print. —. Roverandom. New York: Houghton Mifflin Company, 1998. Print. —. The Hobbit. New York: Ballantine Books, 1982. Print.